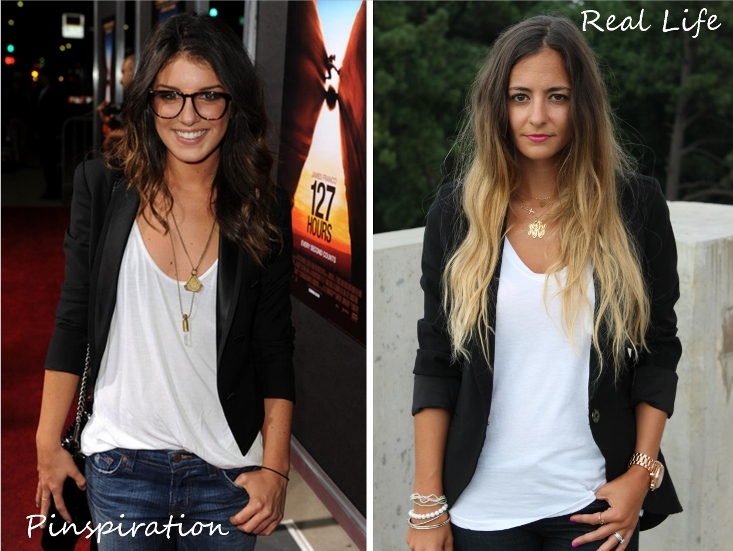 When I pinned this pin of Shenae Grimes a few weeks ago - I was really inspired by her look. Jeans, a tee and a blazer is one of my favorite outfits. It can be casual, yet once you add the blazer your ensemble becomes instantly polished. Definitely planning on this being my fall uniform. I'm usually rocking a statement necklace, but this time I decided to add layers of gold necklaces along with metallic accessories. Great look! I love my Boyfriend blazer. You did amazing and look amazing. Great look! Haha- I have this same pin! I tried to execute this look once, but it ended up looking too structured. I have the wrong kind of blazer. Your recreation is spot on! Love! 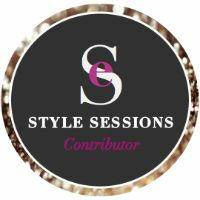 Stopping by from the Style Sessions! SUCH a great look! I love how you dressed up your white tshirt and layered necklaces! SUCH a cute look, nikki!!! you look fabulous! Love this look! I am all about jeans and a blazer in the fall. Simple and classic! Looks great! This outfit is simple but so classy! I am really loving your monogram necklace. You look gorgeous. I love a good white t and blazer. Loving the new necklace on you!! All I can say is...perfect! You nailed the look...I pinned that shot too! you nailed it! looking AMAZING!!!! This looks so good on you girl! I love the jeans and blazer and your hair is SO pretty! Love this! You pull it off so well. that is spot on!! and so you!! love her blazer! definitely need to look for one in a similar style! Lovin this girl!! And I am in love with your hair color! !